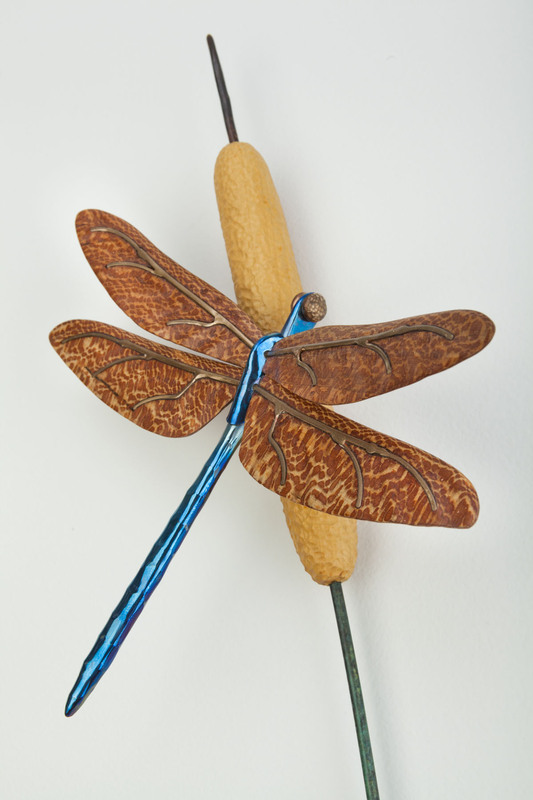 A dragonfly flying around a pond makes me think of summer time and a great subject to sculpt. 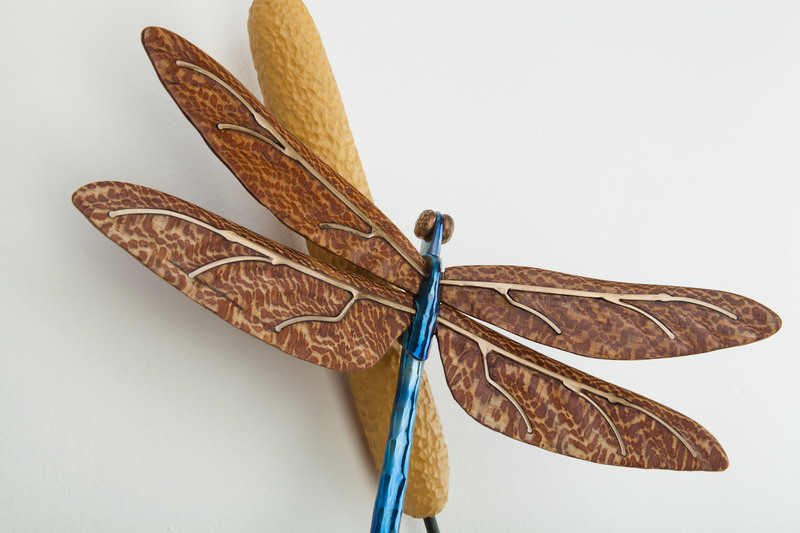 This dragonfly has a titanium body with hammered bronze eyes and sycamore wood wings. 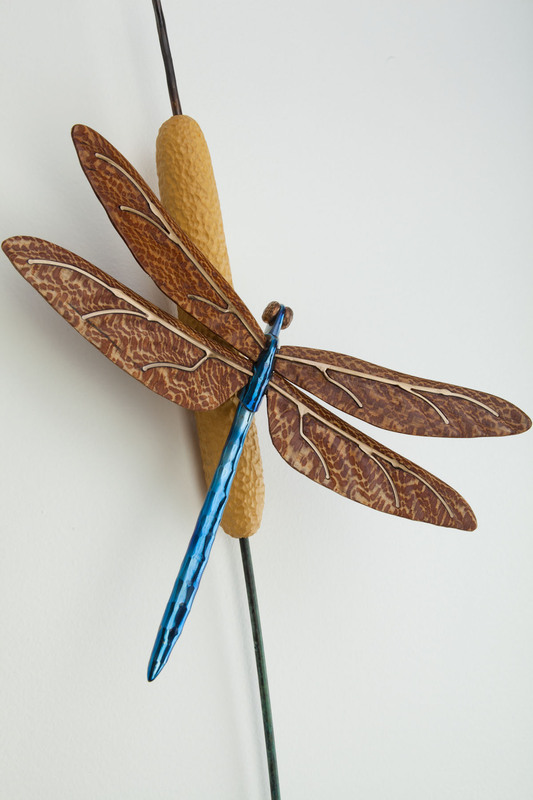 It is perched atop a cattail made out of quillo bordon wood and bronze. 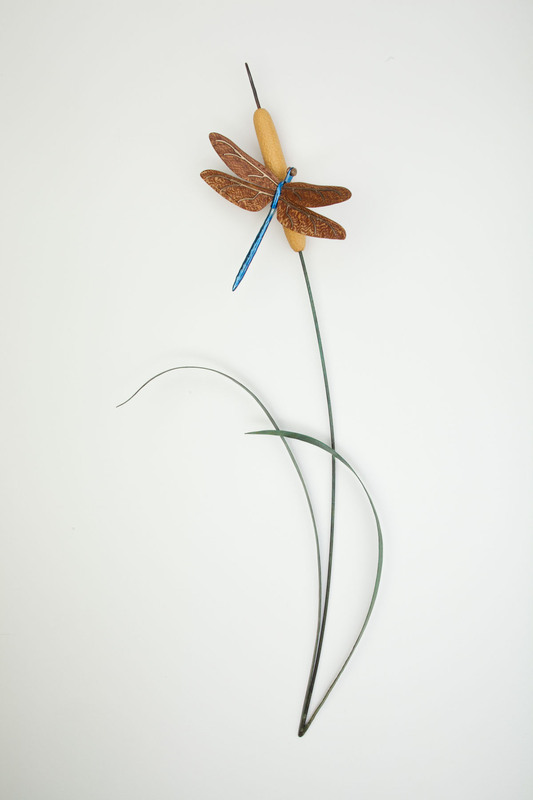 The open, flowing structure of the lower portion of this piece is designed to reflect the way in which a cattail will bend and sway in a summer breeze.